We are continually amazed with the talent of our fellow Pluckster. To see the beautiful projects that are created with our yarns is the icing on the cake. To showcase your works, we are going to start featuring your #plucksterprojects in our Instagram Stories. 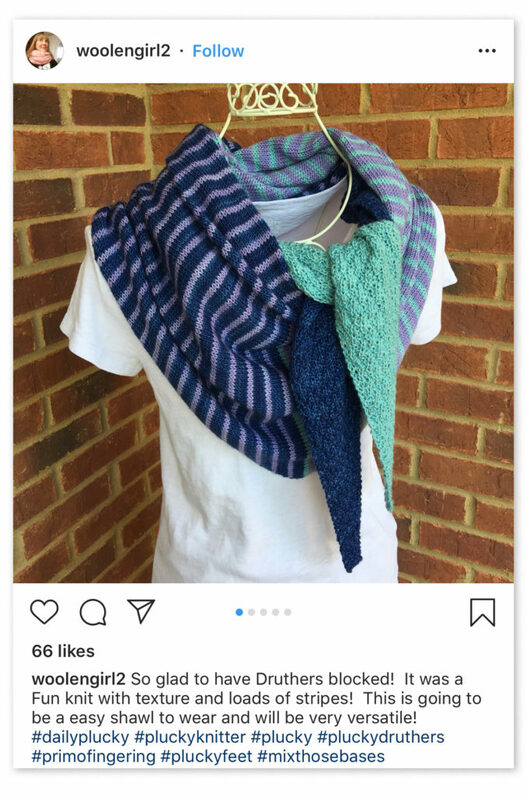 To be sure we see your work, when posting to Instagram, please be sure to tag us! 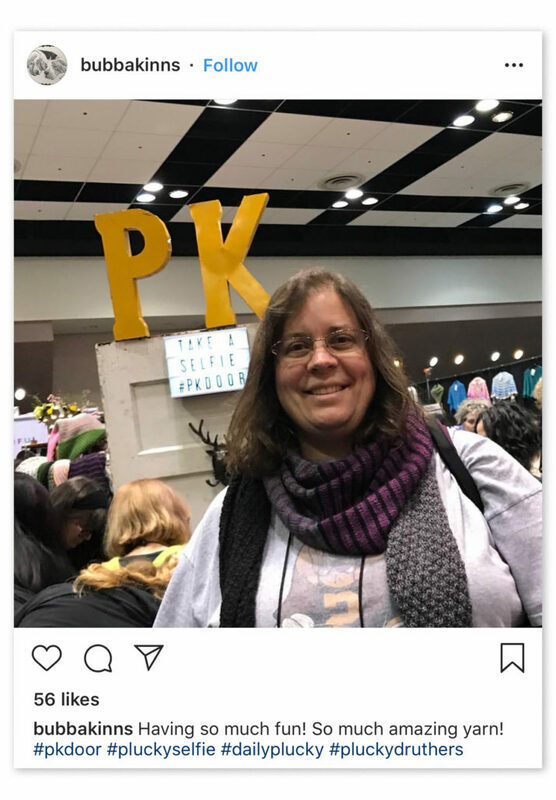 (@pluckyknitter) and as always use the Plucky pattern’s official hashtag (found on the back page of the pattern). 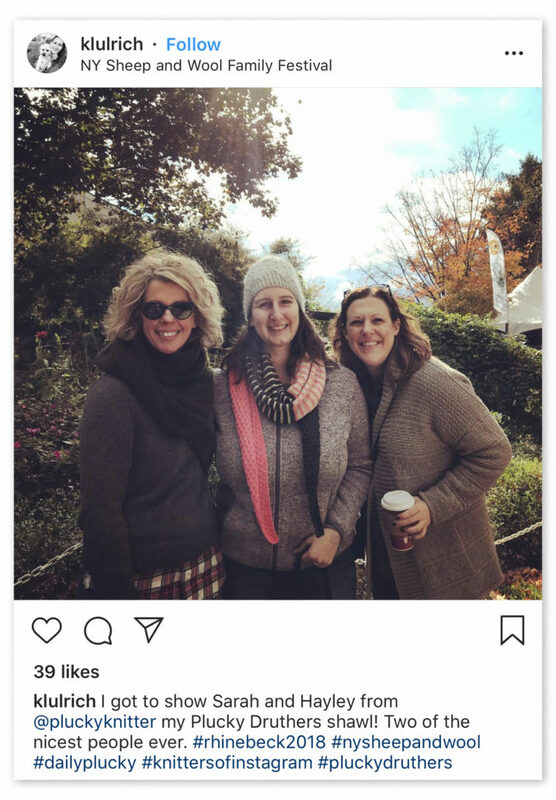 To get more bang for your post, tag your selfies with #pluckyselfie and tag anything Plucky with #dailyplucky… we give monthly prizes to #pluckyselfie and #dailyplucky winners. https://www.thepluckyknitter.com/wp-content/uploads/2017/05/new_small_logo@2x.png 0 0 Sarah https://www.thepluckyknitter.com/wp-content/uploads/2017/05/new_small_logo@2x.png Sarah2018-11-12 13:07:142018-12-03 13:58:33#plucksterprojects Druthers!